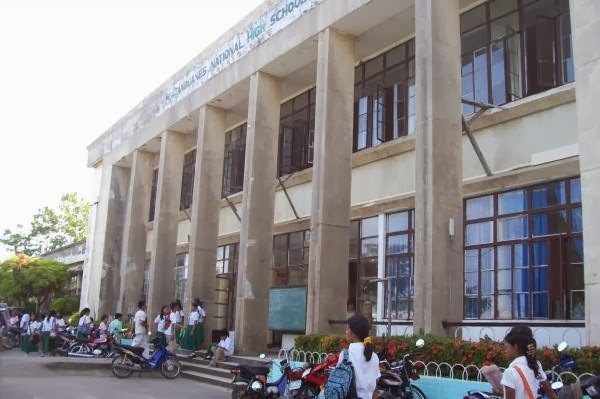 Catanduanes National High School (CNHS) was declared the overall champion of the 2013 Division Secondary Schools Press Conference held last December. In the report of Dr. Gina Pantino, Education Program Supervisor in-charge and division campus journalism coordinator, Catanduanes State University Laboratory Schools (1st runner-up) tailed CNHS followed by Bato Rural Development High School ended (2nd runner-up); San Andres Vocation School, (3rd runner-up), and San Miguel Rural Development High School (4th runner-up). Thirty-three public secondary schools, as well as private schools CSU and Immaculate Conception Seminary Academy, competed in the conference. Among the resource speakers were Tribune publisher Fernan Gianan, CSU planning officer Gerry Rubio, Adem Nalu Rubio, Adelmo Rubio. Bren Garette Rivera, Geraldine Tolledo and Dave Tolentino. The winners for each event are: News Writing (English): Ariadne Mae Tesorero (San Miguel RDHS), 1st; Cris Eugene Gianan (CNHS), 2nd; Camille Rose Abundo (CSULS), 3rd; Cloie Tapel (Bato RDHS), 4th; and, Aimee Soquerata (SAVS), 5th. News Writing (Filipino): Rizza Jane Ramirez (Palta NHS), 1st; Shenaren Soneja (SAVS), 2nd; Bernard Rodriguez (Baras RDHS), 3rd; Larry dela Cruz (ICSA), 4th; and, Cipreelita Shamavie Calar (Hawan NHS), 5th. Feature Writing (English): Ma. Charlotte Sualivio (Calatagan HS), 1st; Diana Jane Borboran (CSULS), 2nd; Jinky Tapel (San Miguel RDHS), 3rd; Diana Traqueña (Cabugao Integrated School), 4th; and, Harlene Vargas (Buyo IS), 5th. Feature Writing (Filipino): Janice del Barrio (Supang Datag NHS), 1st; Caroline Tablada (CSULS), 2nd; Jessa Mae Cueva (Bagamanoc RDHS), 3rd; Lomelen Primo (SAVS), 4th; and, Jelyn del Rosario (Bote IS), 5th. Editorial Writing (English): Diana Teresa Villamartin (Viga RDHS), 1st; Jose Manuel Tarrobal (Bato RDHS), 2nd; Joyce Ann Ogalesco (Panganiban NHS), 3rd; Jamela Evangelista (Bagamanoc RDHS), 4th; and, Arwenna Mae Sarmiento (Gigmoto RDHS), 5th. Editorial Writing (Filipino): Vanessa Valeza (Gigmoto RDHS), 1st; Jesevel Tabuena (Palta NHS), 2nd; Marko Rey Tapel (CSULS), 3rd; Jonel Hong (San Miguel RDHS), 4th; and, Rubilyn Sarmiento (Pandan School of Arts and Trades), 5th. Editorial Cartooning (English): Lovely Joy Arcilla (Supang Datag NHS), 1st; Jad Ezekiel Triunfo (Bato RDHS), 2nd; Jose Emmanuel Castilla (Caramoran RDHS), 3rd; Jose Miguel Tendencia (Baras RDHS), 4th; and, Kenneth Llabres (Hawan NHS), 5th. Editorial Cartooning (Filipino): Zekiel Emmanuel Urgel (CSULS), 1st; Danilla Alexandra Tribiana (ICSA), 2nd; Alexia Theresa Bihag (CNHS), 3rd; John Kevin Camacho (Gigmoto RDHS), 4th; Abel Templonuevo (Bato RDHS), 5th. Sports Writing (English): Clarise del Rosario (SAVS), 1st; Shilley Babe Sta. Rosa (CNHS), 2nd; Jose Torrente II (San Miguel RDHS), 3rd; Bjorn Lopez (PSAT), 4th; and, Kelly Rojas (Bato RDHS), 5th. Sports Writing (Filipino): Gail Ann Teope (CNHS), 1st; John Carlo Montero (PSAT), 2nd; Nelly Ann Manlangit (SAVS), 3rd; Julius Dayawon (Gigmoto RDHS), 4th; and, Nick Ivan Timajo (San Miguel RDHS), 5th. Copy Reading and Headline Writing (English): Marriane Claire Ogalesco (Viga RDHS), 1st; Charlyn Lizaso (Baras RDHS), 2nd; Keecee Panti (CNHS), 3rd; Gian Marlon Tejada (Dororian NHS), 4th; and, Pearl Kristine Lumbao (CSULS), 5th. Copy Reading and Headline Writing (Filipino): Hazel Tribiana (San Miguel RDHS), 1st; Francis Isabel Gianan (CSULS), 2nd; Reena Ysabela dela Cruz (Bato RDHS), 3rd; Cleo Mae Traqueña (Magnesia NHS), 4th; and Lois Angelica Go (CNHS), 5th. Photojournalism (English): Seimus Leandro Isorena (Caramoran RDHS), 1st; Faye Louise Pastor (CSULS), 2nd; Amalia Pauline Chua (SAVS), 3rd; Jullie Sopia Seloria (ICSA), 4th; and, Ma. Regine Rojas (CNHS), 5th. Photojournalism (Filipino): Charlotte Benedicto (SAVS), 1st; Elaine Marie Cervantes (Viga RDHS), 2nd; Shairra Mae Samas (Caramoran RDHS), 3rd; John Kenneth Valeras (Bagamanoc RDHS), 4th; and, Neil Bruce Isorena (PSAT), 5th. Broadcasting (English): CNHS, 1st; CSULS, 2nd; Bato RDHS, 3rd; ICSA, 3rd; and, Baras RDGS, 5th. Broadcasting (Filipino): CNHS, 1st; Bato RDHS, 2nd; CSULS, 3rd; and, ICSA, 4th. Collaborative Publishing (English): CSULS, 1st; CNHS, 2nd; and, Bato RDHS, 3rd. Collaborative Publishing (Filipino): CNHS, 1st; SAVS, 2nd; and, CSULS, 3rd. In the School Paper Category, The Synchronizer (CNHS) won the awards for Best in News Section (English), Best in News Section (Filipino), Best in Feature Section (English), Best in Editorial Section (English), Best in Editorial Section (Filipino), Best in Science and Technology Section (English), Best in Science and Technology Section (Filipino), Best in Layout and Page Design (English), and, Best in Layout and Page Design (Filipino). The Best in Sports Section in English and Filipino went to The Spotlight and Bato Balani, respectively, both of Bato Rural Development High School. Ang Pagyabong of San Andres Vocational School won the Best in Feature Section (Filipino). Catanduanes National High School bagged four of the five awards in the Scriptwriting and Radio Broadcasting Category: Best Anchor, Best News Presenter, Best in Technical Application, and Best Script. The CSU Laboratory Schools team got the award for Best Infomercial. Rosita Marino of Baras RDHS was named outstanding school paper adviser, with Haide Dominguez of Viga RDHS as 1st runner-up. Ace Tabuzo of CNHS was named Outstanding Campus Journalist, with Marko Rey Tapel (CSULS), Mariane Claire Ogalesco (Viga RDHS) and Shenaren Soneja (SAVS) as runners-up.